This video image released courtesy of SITE Intelligence Group, shows a never-before-released pictures of Anwar al-Awlaki, who was killed in a CIA drone strike on September 30, 2011. 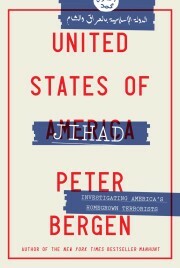 Bergen: Will others sympathetic to al Qaeda continue to spread his teachings? (CNN) — The U.S. drone strike that killed Anwar al-Awlaki, an American cleric who was born in New Mexico and who would go on to become an al-Qaeda leader in Yemen, did not silence his siren call to jihad. That fact was underlined Thursday by the indictment against Dzhokhar Tsarnaev, who together with his brother, Tamerlan, allegedly carried out the deadly Boston Marathon bombing on April 15. Some time before the Boston bombings, Dzhokhar downloaded a digital copy of a book for which Awlaki, who died in 2011, had written the foreword. The book directed Muslims not to give allegiance to countries such as the United States that have invaded Muslim lands. The Tsernaevs are only the tip of Awlaki’s influence on American militants. According to a count by the New America Foundation, 24 “homegrown” violent jihadist extremists in the United States who have been indicted or convicted of terrorism or have been killed while engaged in violent jihad since 2001 read Awlaki’s propaganda or maintained contact with him. This accounts for around one in five of all jihadist extremists indicted, convicted or killed since Awlaki’s influence was cited for the first time in court documents in 2007, when his name turned up among the literature being read by members of a plot to attack the Ft. Dix military base in southern New Jersey. Awlaki first came to the attention of the FBI while he was living in San Diego where he had come into contact with two of the 9/11 hijackers in 2000. The FBI investigated those connections but was unable to discover if Awlaki had any nefarious connections to the hijackers. Awlaki was working as an imam in Virginia in 2002. He then traveled to the United Kingdom and then to Yemen where his family was from. In 2007, after a spell in a Yemeni jail that he blamed on the United States, Awlaki became more radicalized and he adopted an increasingly strident anti-American tone in his sermons, which were widely distributed on the Internet. 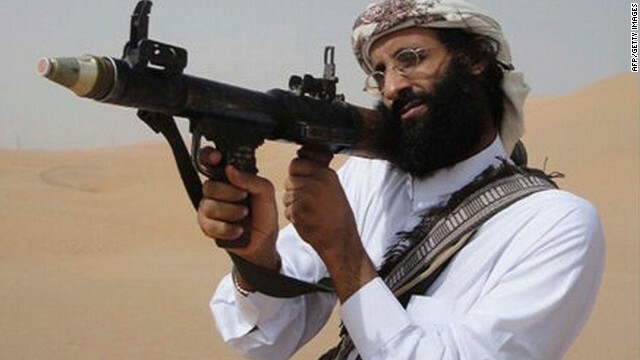 Soon Awlaki joined up with al Qaeda in the Arabian Peninsula. His role at first was as a spiritual adviser. But he became more involved in operations over time. For instance, he played a central role in the recruitment of the Nigerian “underwear bomber” Umar Farouk Abdulmutallab, who tried to blow up Northwest Flight 253 over Detroit on Christmas Day 2009, court documents showed. Since Awlaki’s death in the 2011 drone strike, other militants have continued to be influenced by Awlaki’s propaganda. Quazi Nafis, a 21-year old Bangladeshi on a student visa, was arrested in 2012 for plotting to bomb the New York Federal Reserve. Nafis told a government informant that Awlaki’s ideas had influenced him. In December 2012, Randy Wilson and Mohammad Abukhdair were arrested in Georgia while attempting to travel to fight for al Shabaab, the al Qaeda affiliate in Somalia. According to the indictment Abukhdair provided an informant with compact discs containing lectures by Awlaki, and Wilson watched Awlaki’s videos. It is not surprising that Awlaki’s influence has not disappeared following his death. Awlaki’s role in the radicalization of homegrown extremists was not primarily that of directing and facilitating operations. Only four U.S.-based extremists maintained contact with Awlaki rather than simply reading or watching his propaganda, according to the New America Foundation count. Authorities say Army Maj. Nidal Malik Hasan, accused of murder in the 2009 Fort Hood, Texas, shooting spree that killed 13 people, communicated with Awlaki by e-mail prior to the attack. He also followed Awlaki’s publications very closely. However, a commission conducted after the attack to review the FBI’s failure to prevent the shooting found no evidence that Awlaki directed Hasan’s attack. Awlaki also is said to have played an important role in the radicalization of Zachary Chesser, a Virginia resident who planned to join al Shabaab. According to a report by the Senate Committee on Homeland Security, Chesser rapidly radicalized after his conversion to Islam in the summer of 2008 and was heavily influenced by Awlaki. Chesser began to post his writings on Awlaki’s blog and began an e-mail correspondence with him, authorities have said. Chesser decided to join al Shabaab’s struggle in Somalia because of Awlaki’s teachings on jihad, according to the congressional report. Chesser was arrested as he was about to fly to Africa from New York City in July 2010. Looking to the future, the role of Awlaki’s propaganda as a driver of homegrown extremism will largely be determined by whether the materials he produced before he died remain relevant and easily available on the many websites that distribute his lectures. The Boston bombings remind us that at least as of now, Awlaki continues to exert his influence even from beyond the grave.